American cannabis company MedMen (CSE:MMEN) has premiered the first-ever US television commercial for marijuana on its YouTube channel. 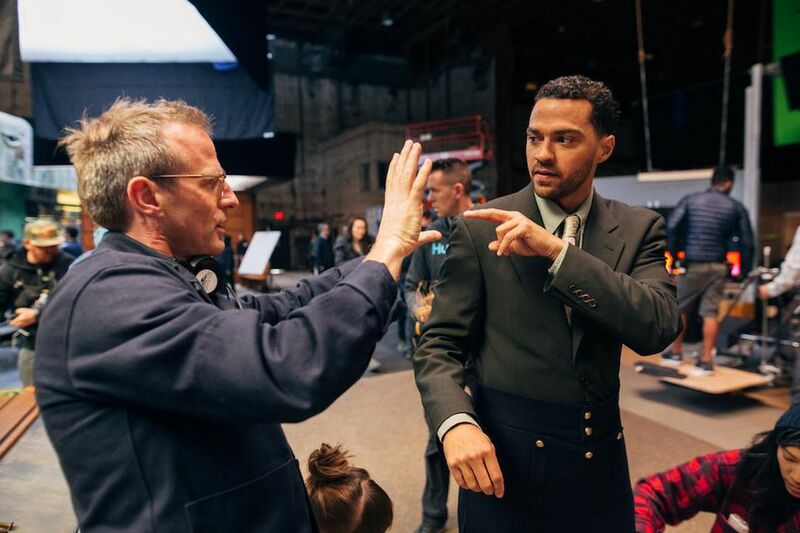 The advertisement was directed by Oscar-winning filmmaker Spike Jonze—whose previous work incudes Being John Malkovich, Adaptation, and Her—and is narrated by actor and political activist, Jesse Williams. The two-minute short film focuses on the history of cannabis in America, beginning with the hemp farm owned by George Washington. From there it jumps forward, chronicling iconic moments in America’s journey towards legalisation, including the Woodstock festival and the release of Reefer Madness, while also touching on the human cost wrought by America’s war on drugs. Decades of the “stop and frisk” program, and a justice system focused on disproportionately punishing drug offenders are issues that still continue to disproportionately plague the African American community. According to the CMO of MedMen, David Dancer, the ad is intended to encourage the “normalisation of cannabis”. The company considers the short film to be a “statement” that will fuel further public discussion, rather than a commercial in the traditional sense. “We had a desire to create a commercial with a profound message. Our core value is around ensuring that people can lead safe, happy, healthy lives with cannabis being a part of it. A couple of years ago, agencies and talent like this probably wouldn’t have been interested in working in cannabis, so I think it’s a milestone moment,” Dancer said. “One thing is moving into more benefit-driven messaging, to make sure those who are new to cannabis, or thinking about trying it, can start to understand some of the potential benefits of cannabis,” he said. As part of its’ push to move marijuana legalisation into mainstream acceptance, MedMen’s ad will be screened on online streaming platforms for the Oxygen channel, Lifetime, CBS Sports Network, The Food Network, and MSNBC. The campaign will also include print ads that will be published in GQ, Rolling Stone, and Us Weekly, as well as audio advertisements on Howard Stern’s Sirius XM show and podcasts such as The Adam Carolla Show. But, while this may seem promising, Dancer has admitted that the company still has a long journey ahead on the road to complete legalisation. “Someone has to be the first one the dance floor. When we look back 20 years from now, the illegality mentality is going to be a joke. This plant is not theoretical in its practice and its use is directly attached to enhancing the quality of people’s lives,” Dancer said. Thus far, American TV networks have proven relatively resistant to the idea of cannabis advertisement. Previously, CBS has stepped in to prevent a medical marijuana PSA from playing during the Super Bowl—claiming that it would violate broadcasting standards—while the ABC knocked back an advertisement starring actress Bella Thorne because the cannabis company wanted it to air during the Oscars. “But when black and brown folks do it, we’re thrown in cages for the rest of our lives, shot in the street, and then it’s justified in the news because someone might have had some marijuana in their system,” Williams said. The director, Spike Jonze, also has a documentary in post-production that explores the experiences of “The New Normal” cast members, which include police officers, convicted drug offenders, and legal cannabis entrepreneurs. Before moving on to the world of films, Jonze was a well-known figure in the advertising world, having worked on commercials for companies such as Adidas, Ikea, Kenzo, and Apple. Speaking to Forbes Magazine, Jonze argued that the American government’s current approach to cannabis prohibition “doesn’t make sense”. “But getting to do this, I got to learn the bigger picture of the whole story. I feel so hopeful, but the thing that sticks with me and upsets me is that there are still so many people that are still locked up for this plant that is now legal in so many places,” Jonze said. MedMen CMO David Dancer says that the last shot of the ad represents the company’s hope for the future. “Grabbing the groceries [and] grabbing your MedMen at the same time. Something very normal and a part of everyday life,” Dancer said.